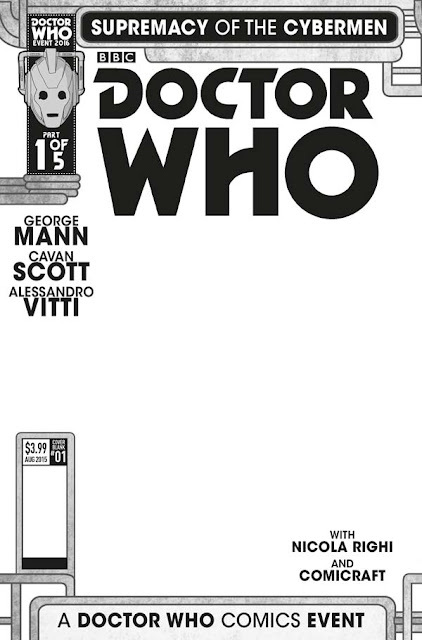 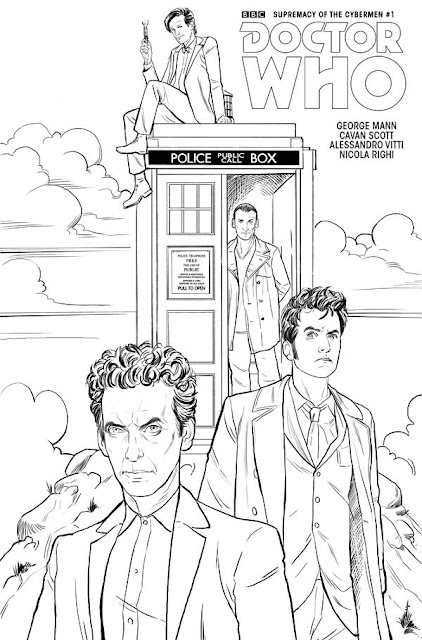 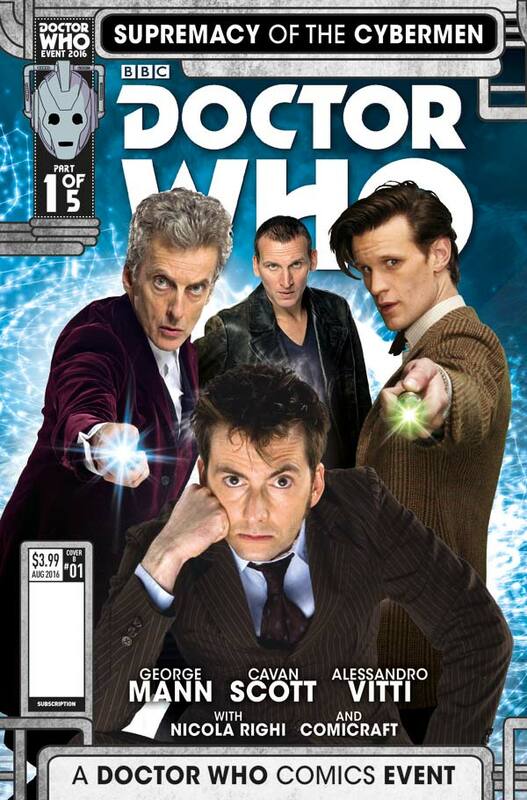 Titan Comics: Doctor Who - New FOUR DOCTORS CROSSOVER EVENT Feat. The Cybermen | Warped Factor - Words in the Key of Geek. 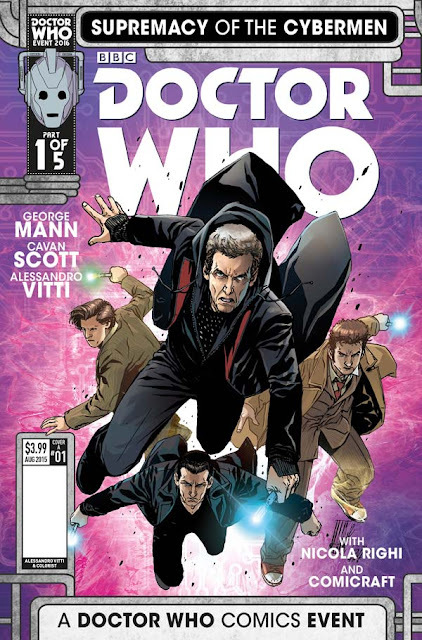 BBC Worldwide North America and Titan Comics have revealed that this summer’s special Doctor Who event comic will feature the Ninth, Tenth, Eleventh, and Twelfth Doctors from Titan’s four ongoing Doctor Who series. 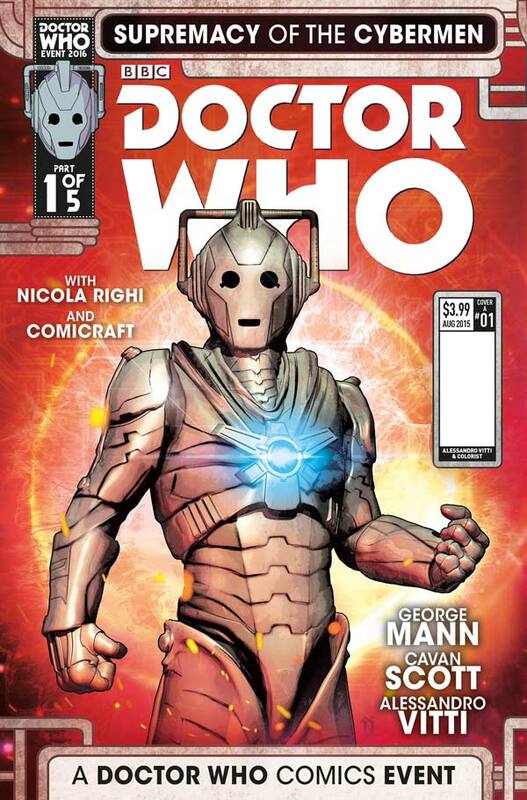 This comic will be a spectacular five-part, bi-weekly adventure featuring one of the Doctor’s most iconic foes – the Cybermen! 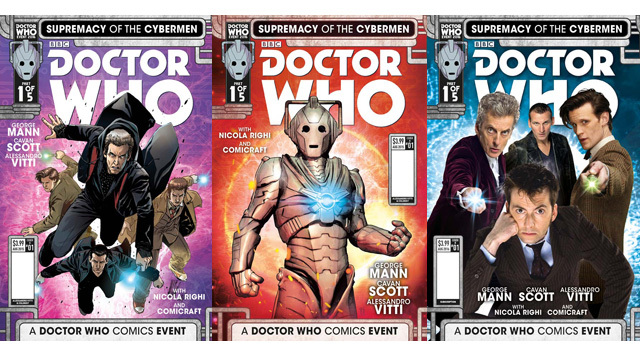 More news about Doctor Who Event 2016: Supremacy of the Cybermen and this year’s Doctor Who Comics Day, as and when we get it.